It's a proven fact, as organizations increase the number of opportunities for employees to utilize their voice, engagement increases, retention climbs and turnover drops. Understanding this connection, the voice of employee concept has become increasingly important to organizations as they seek to capture feedback more frequently from employees and take action on that feedback to drive outcomes. 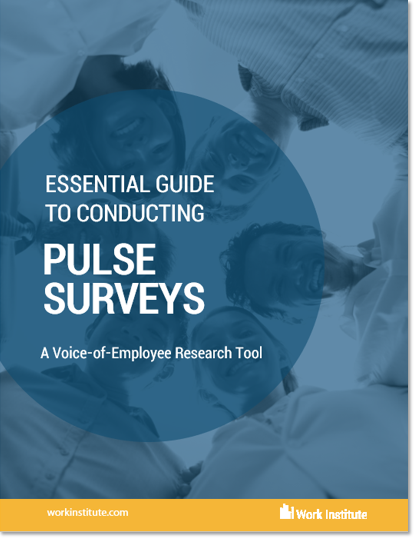 With this, many organizations are including pulse surveys in their voice of employee strategy as a way to collect feedback more frequently. What is a Pulse Survey? Why use a Pulse Survey? When do I use a Pulse Survey? How do I effectively conduct a Pulse Survey?